Manchester United manager Jose Mourinho has hit out at some of his players after a disappointing 1-1 draw at home to Wolves this afternoon. The Red Devils took the lead through this beautifully-worked Fred goal, but were pegged back in the second half as Joao Moutinho scored another fine effort to make it 1-1. 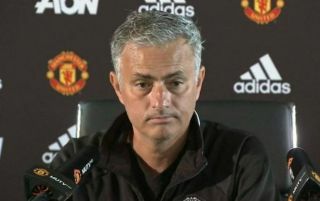 Mourinho did not sound happy afterwards, saying Wolves deserved their point as his United players were not intense or dynamic enough as he reeled off a lot of criticisms his squad’s way. The Portuguese is often one who takes the credit when things go well, calling himself the ‘Special One’ back in his Chelsea days, but he tends to get very defensive and turns to blaming others when results do not go his way. Jose: A fair result, #wwfc play the way I like to play. They were in the game since the 1st minute.